It somewhat resembles the horseshoe cable, but is a bit more effeminate. 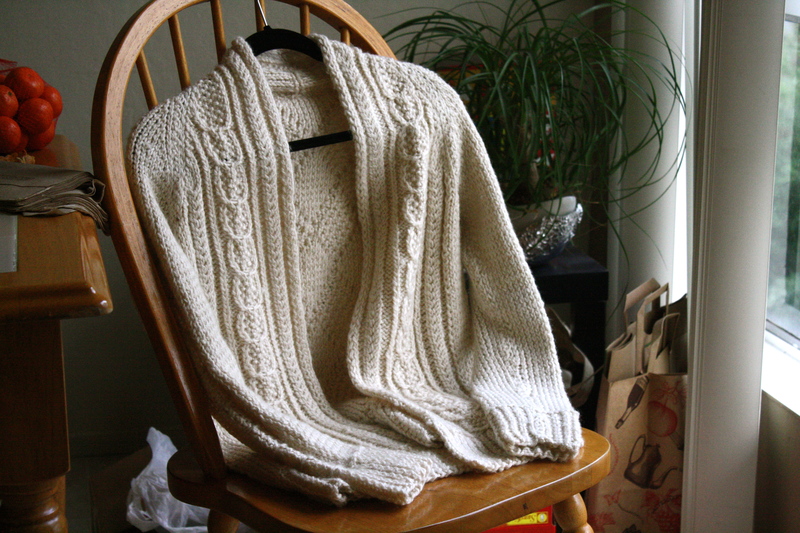 Also, the fact that this is basically a blanket in cardigan form ensures that this can keep you warm on a chilly night (It is essentially a Snuggie that you can wear without losing your dignity) and the white color gives it a more formal feel. 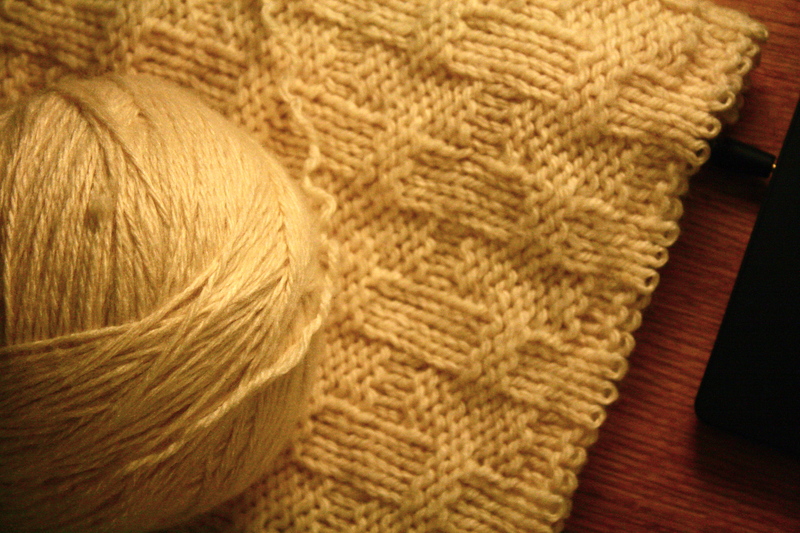 Lastly, blocking completely saved this project. 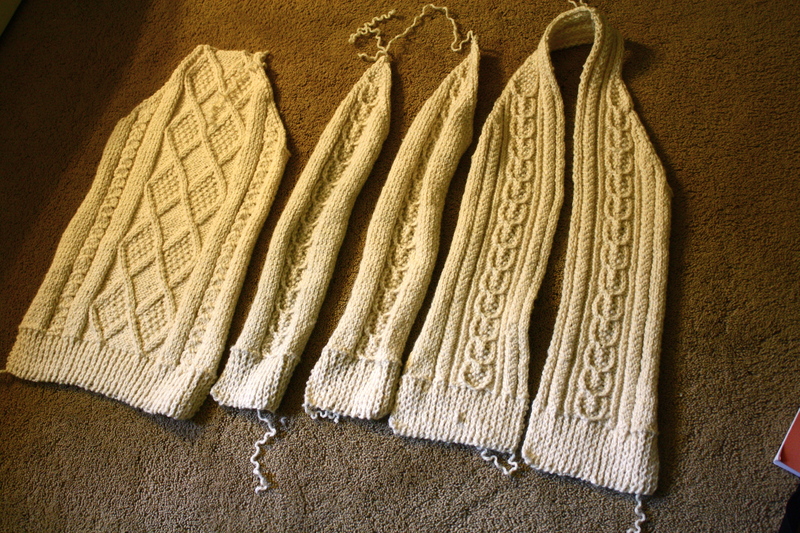 Before blocking, the sleeves were incredibly skinny. But after a night pinned to my broken piece of cardboard, this baby came out nice and normal fitting! One more reason why you should always take the extra time to block your project. Sadly, I did not make up this pattern myself. 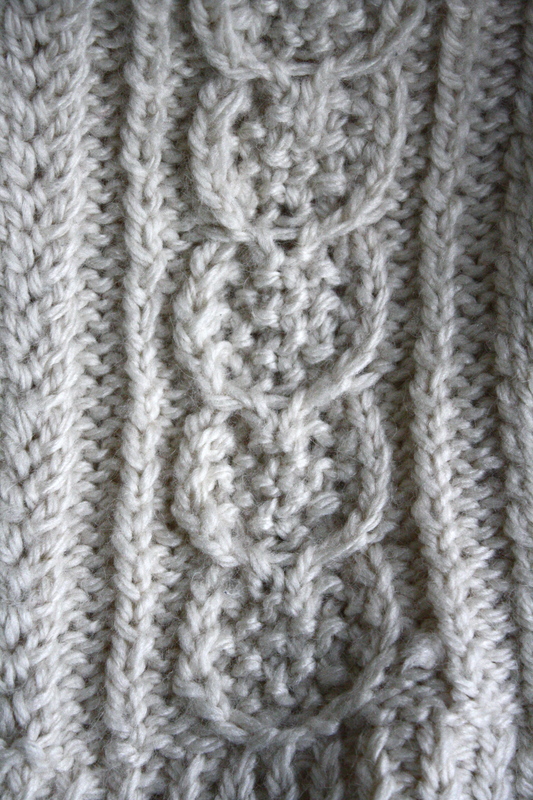 It is available on Ravelry as a free download and is called “Aidez.” Don’t be intimidated by the complex notation of the pattern. It really is simple when you just sit down and read it through. 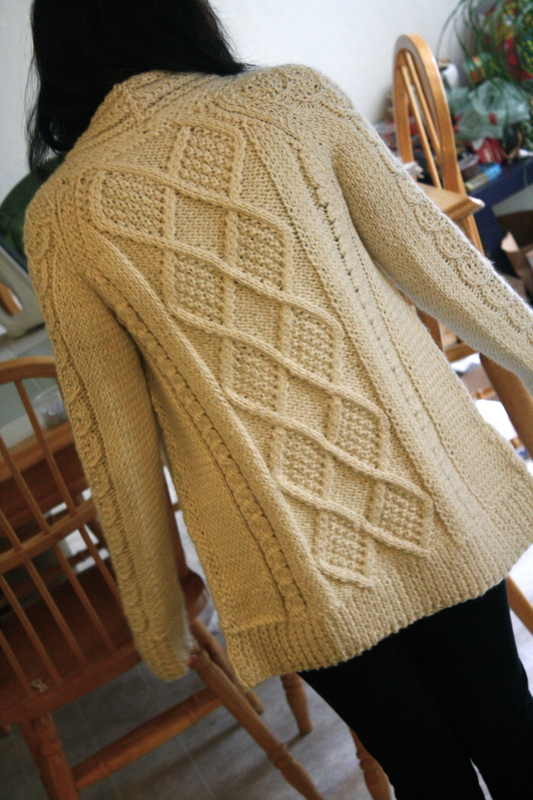 If Lam can knit, so can you! Roommate: Hey, Danier (Not racist because he actually says this), are you busy? Roommate: How do you say, um, goll. Me: You mean “gall”? It’s an “ah” sound. Ah. G-ah-ll. Me: Gall. Gall. Gall. Gall. Roomate: Goll. Goll. Goll. Goll. Me: No, I saw your tongue go up. Keep it down. Finally, due to exhaustion or a bleeding mouth, we decide to call it a night. I’m pretty sure after a week of this I will have scarred him for life, making him averse to all things rhotic, but I’ve made it my semester goal to make sure that he produces the perfect bunched tongue r. Whether or not it’s done with my hand in his mouth is completely up to him. ***In 1986, Ellen Degeneres became the first woman to be asked to sit down with Johnny Carson on The Tonight Show. 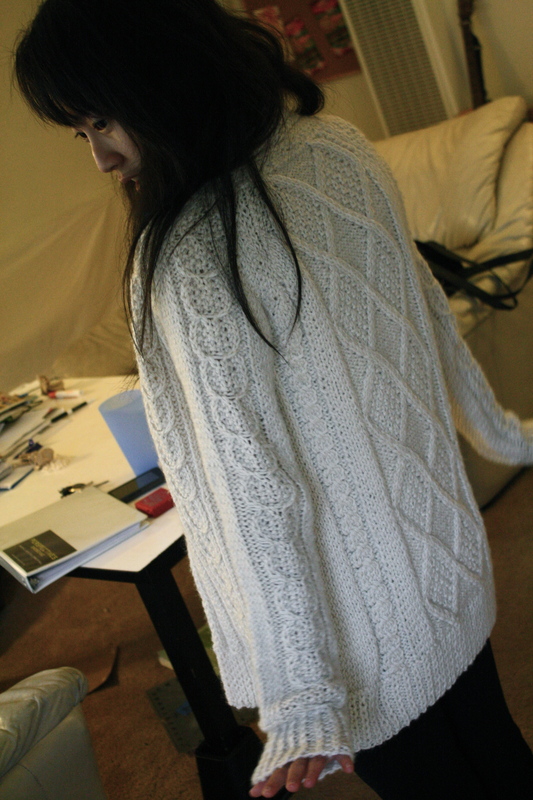 Also, the sweater is really pretty !! Daniel I’m pretty sure you could sell your knitted clothing items! This looks really awesome (and buy-worthy)!